A great turnout from Keswick AC saw 17 runners travelling down to Kettlewell in the Yorkshire Dales last Saturday, for the final race in this years’ English Fell Running Championship. 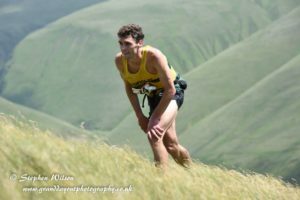 The day promised tough competition for all, but some (including new joint British Fell Running champion Carl Bell) were also challenging for high positions in the ‘English Champs’. The short 4 mile route up and down Great Whernside contained a stiff 475m of ascent. Runners who were familiar with the race noted the difficult, boggy conditions underfoot on a course that is normally very fast, due to recent prolonged heavy rainfall. A large field of 244 male athletes began the men’s race. The early grassy running gave way to rocky sections and some treacherously uneven ground midway through the ascent. As they neared the top of the climb, runners had the opportunity to see the front of the race at close hand as the leaders returned the same way. On the descent, more than one athlete was unlucky enough to endure a dreaded ‘face-plant’ into the North Yorks bog. Sam Tosh from Rossendale won a hard-fought race in a time of 29:25, and with it took the Gold title in the English Championship. Steve Hebblethwaite was first Keswick runner home in 8th, followed by Carl Bell, Mark Lamb, John Battrick and Sam Stead all in the top 20, with Dan Howarth and Phil Winskill not far behind. Andrew Slattery, Chris Brewer and John Beetham were hoping to pick up some points in the Veterans’ team championship with their set of solid performances in the middle of a top quality field. After all the races, Carl Bell has now secured a silver medal in the English championship, yet another reward for his fantastic season of 2017. He shares the medal with Chris Arthur from Bowland Fell Runners. 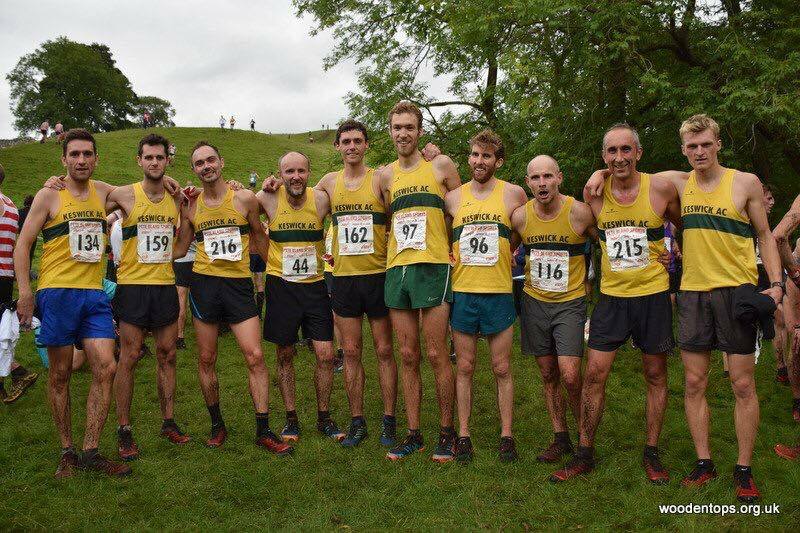 Both runners have ended up with equal points on both the British and English Championships, gaining their points from very different races but sharing the glory. 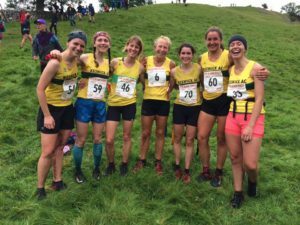 The ladies race started earlier in the day, and several Keswick women put in some gutsy performances, with three Keswick women (Catherine Spurden, Hannah Horsburgh and Jenn Mattinson) finishing in the top 15. The race was won by Ribble Valley’s Katie Walshaw, followed by Nicola Jackson from the same club and Lizzie Browne from Black Combe. Trudy Beetham put in a great performance, and has finished well up in the ladies overall and Vet40 standings. Zoe Webber, Victoria Haworth and Lesley Malarkey were also there to represent Keswick on the day, and have all completed a fine selection of long, short and medium races throughout the fell running season. Lesley now completes an amazing year with what the club think may be a bronze medal in the V65 championships.